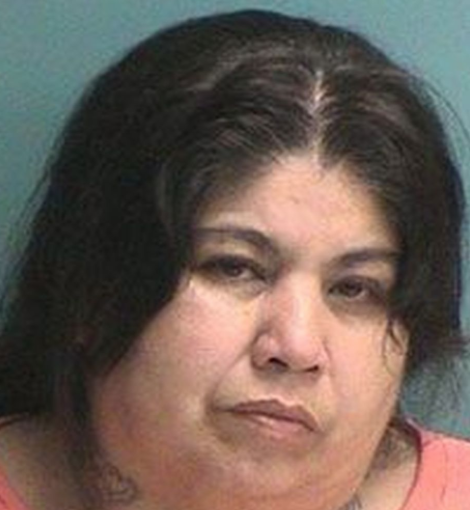 McALLEN — A Nacogdoches woman who claimed she was trafficking cocaine because she was homeless and was trying to get “back on her feet” is scheduled to be sentenced Thursday , according to a criminal complaint filed against her. Mary Chris Veliz, 45, is set to appear for her sentencing hearing before U.S. District Judge Micaela Alvarez related to her Feb. 9 arrest at the Falfurrias checkpoint. Veliz was stopped at the checkpoint after U.S. Border Patrol agents observed Veliz appear nervous during routine questioning, the court record states. A canine was used to do an “open air” inspection of the vehicle and subsequently alerted to something in the back of the Equinox. Veliz stated she was headed to Nacogdoches to pick up her daughter-in-law, and then the day after, she said she was going to Huntsville to see her son. “During the interview process with her, (the agent) noticed that (Veliz’s) hands started to shake uncontrollably and she kept looking at her rearview mirror, exhibiting signs of nervous behavior,” the court record shows. Because of the open air alert, and Veliz’s own apparent nerves, the agent referred her for a secondary inspection. Agents subsequently interviewed Veliz about the nearly 4 kilos of cocaine. During the interview, Veliz claimed she had purchased the aforementioned cocaine earlier that day from an unnamed person. “Veliz claims she borrowed the vehicle from her friend’s husband, and was traveling to Nacogdoches, Texas, to sell the narcotics,” the complaint states. She admitted that just two days earlier she had smuggled about a kilo of cocaine through the very same checkpoint and made about $7,000 in profits by selling the drug in Nacogdoches. When agents asked about the source of her supply for the cocaine she declined to give any information.